Year end is definitely shopping season for everyone. Numerous holidays, thanksgiving, Christmas, a lot of my friends' birthday fell in year end category as well. All these present givings and dress up occasion always got me thinking: what am I gonna wear to the celebration/what am I giving as present? Ever since I discovered Taobao many years back, online shopping experience changed my life drastically - I bought literally everything from head to toe from Taobao whenever I can. From hair accessories to wig to clothes, hats, shoes, books, gifts, literally everything from Taobao. Many were confused by its shipping method and payment method back then but thank god for being Chinese ed me and my friends managed to figured out everything and placed our order everytime then got our parcels delivered to us safe and sound. And since year 2009, Alibaba Group kick start "Single Day" One Day Sale event at Taobao and Tmall on 11th November, and ever since then, this day has been known throughout China and then globally as the Biggest One Day Sale event which lasts for 24 hours. Last year, this "Festival of all Festivals" made a successful record of RM17.8billion worth of gross merchandise value in just a day, smashed the world's largest online shop event record with 32percent growth on Single's Day shopping compared to previous year. As a valuable key location to Alibaba group, Malaysia has been chosen as one of the country to join the fun in this biggest one day sale by enhancing online shopping experience with exclusive deals for Malaysian shoppers such as cheaper sea freight shipping, door to door delivery and installation services. I'm so ready to shop with Tmall and Taobao on this coming 11th November! I guess most Malaysians are confused about shipping and payment method, with easy Malaysia E-Banking and credit card payment system, buying from Taobao is simple as one two three nowadays. Just make sure you choose "Consolidate Shipping" upon checkout to enjoy the RM0 International Shipping fee for 1st KG on this day. Up to 50% discount and shop coupons up for grabs! 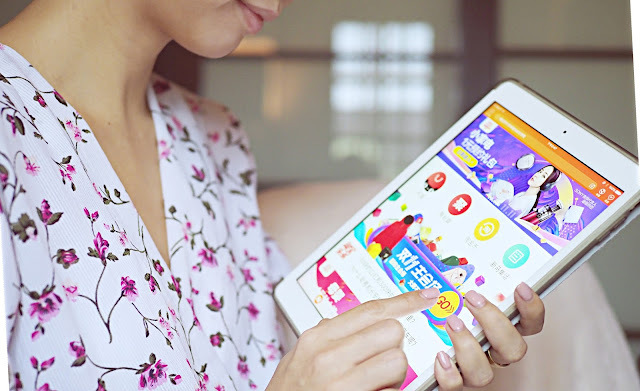 Aside from these great promotions, Alibaba also aims to transform traditional retail through technology and shoppers at China are able o visit pop-up cosmetic stores to experience augmented reality (AR) shopping experience such as lipstick trial as well as some partnering stores featuring facial recognition payment and scan-and-deliver Online to Offline (O2O) shopping. So don't forget to set a reminder on 11th November as the crazy sales starts right from midnight for 24 hours, with more than 100,000 brands and 15million products, it's gonna be a sleepless shopping day(and night) for all of us and I'm already filling up my Taobao cart with all sorts of items waiting to be check out on that very day *Pro Tip ahem*!